I've tried several non-pharmaceutical candida treatments, and this is by far the most effective one. I'm only two weeks into taking Plusbiotic, but my yeast associated symptoms are very much improved already. I'm impressed! I have had Candida most of my life, and found that this product healed me of Candida. I have referred many people to this website to buy the product. I've been using this product for years. Out of all the brands I've tried (from both grocery stores / pharmacies and online) Plusbiotic seems to be most effective re: cleansing yeast and re-balancing my gut flora. I can tell the difference between Plusbiotic's spore-form, shelf-stabilized formulation and the other brands that only guarantee viability at time of manufacture. I have been battling candida for a few years and have done 2 cleanses before with good short term results but horrible physical effects while taking the cleanse . I love this product ! I have been taking it for about 3 weeks but only have been taking a full dose 12 pills for about a week . Most of my symptoms are gone !! I have not had the die off effect . I highly recommend this product . I suffered with recurring systemic yeast. Drs didn't believe that my problems (fuzzy headed, thrush, lathargic, etc) where from yeast but I knew they were. I tried regular probiotics, eating yogurt, and staying away from sugar but it didn't help. After taking this for only a week I started feeling better. I feel better than I could've imagined. 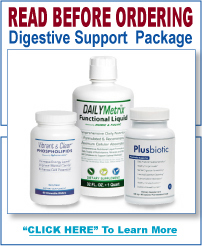 From what I have experienced in two months of using this product it is the best on the market for candida and digestion issues. I had struggled for years and started to develop silent reflux in the last year. Since taking this product I have felt amazing. I had also been having severe allergy/hay fever symptoms in the fall. Those have cleared right up. I will continue to use this product with the maintenance recommendations as I believe it is authentic and absolutely helpful in assisting your body to get back in balance. I have been taking Plusbiotic for the past few years. I suffer from really bad candida that is hard to control, I have tried so many diets and natural things to treat it including many different probiotics. With Plusbiotic I noticed the difference right away!! it helps with my itchy skin, allergies, food intolerances, brain fog, stomach problems, I feel less stressed in my body when I take Plusbiotic, and so much more! I still cannot believe there is a product this good! High quality and the customer service is outstanding! This product works almost immediately. Huge blessing!